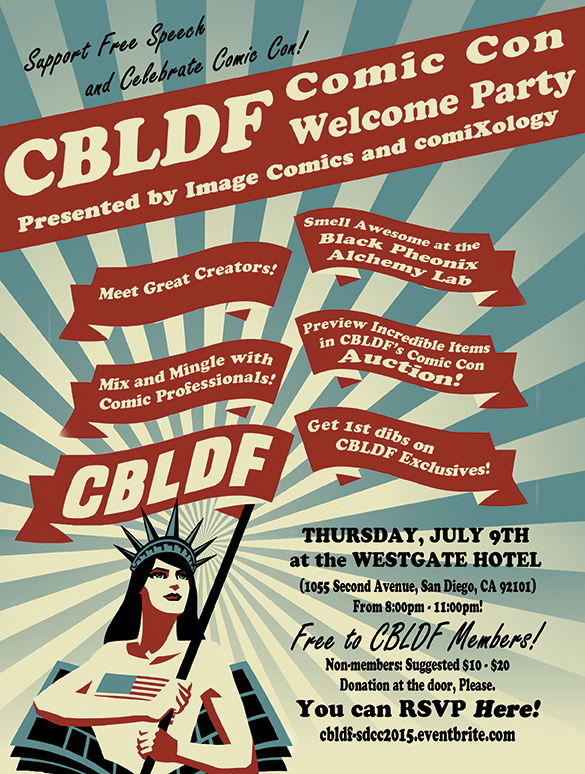 We've known about the Comic Book Legal Defense Fund's Comic-Con Welcome Party for months, but a few more details came out this week. You can still RSVP for this event, so let's see what it has to offer. 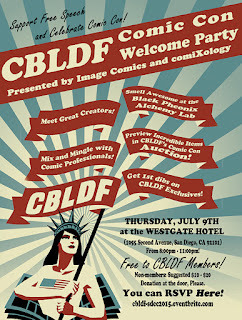 Swag: The first 200 attendees get a free gift bag with stuff from Image, CBLDF and comiXology. Comic Stars: Confirmed attendees so far include Joshua Williamson, Scott Snyder, Jeff Lemire, Fabio Moon and Gabriel Ba and others. BPAL: Black Phoenix Alchemy Lab will debut their Profanities series, with LE scents available only at this party. I know Thursday night is packed with events - but this is a top pick if you can make it.